The AOK 909 Alkalizer - Alkaline Water Ionizer is a mineral water ionizer which converts regular tap water into ionized (negatively charged - antioxidant) alkaline water by way of an amazing and unique non-electric 8 layer filtration system. 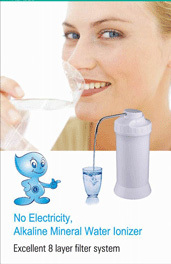 This is a great option available to customers who need a reliable but inexpensive solution for clean alkaline water. You can expect to get 5000 liters or six months of clean, healthy alkaline water. 7th Layer: KDF+ Activated Granular Carbon: Adsorbing chlorine, odors and colors, improving taste and inhibiting the reproduction of microorganisms. 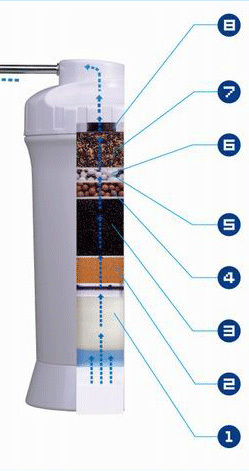 When taken together the multiple layers of this filter removes up to 80% of fluoride in water. If you desire to achieve the most complete removal of fluoride we suggest that you add a fluoride removal prefilter unit to your system. Please call for further consultation. Even without all the added benefits of drinking healthy ionized alkaline water, consider the fact that we are all made up of roughly 70% water. That fact alone tells us that water is very important for heath. Now consider the benefits of drinking clean alkaline water from the 909 Alkalizer. 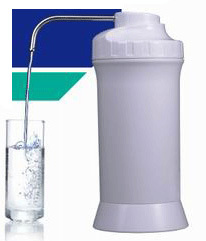 AOK 909 Alkalizer: Purifies tap water, removes bacteria, chlorine and a host of other harmful substances. 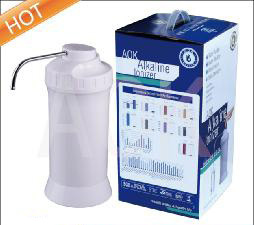 AOK 909 Alkalizer: Creates refreshing great tasting drinking water which pulls even more aroma out of your coffee or tea. AOK 909 Alkalizer: produces smaller water molecule clusters making this water more absorbable and hydrating. This quality may also help eliminate fat from the body. The Importance of Water - Water sustains all forms of life. Water is one of the most mysterious substances on this planet. 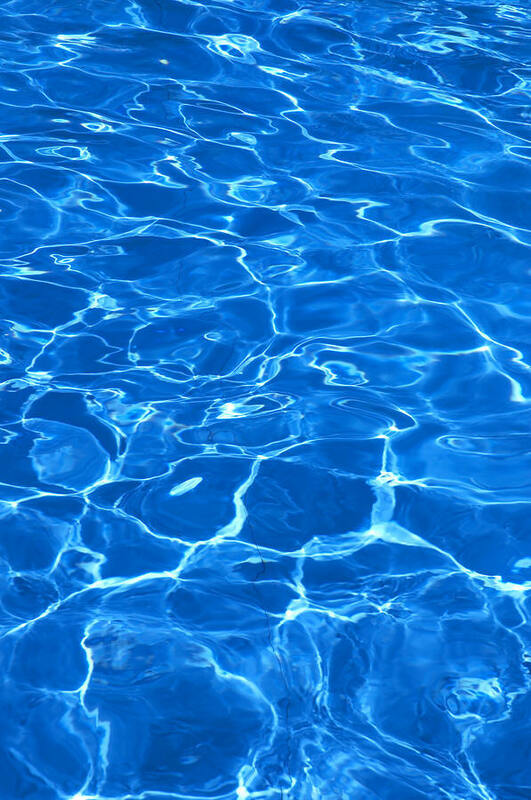 Scientists are still discovering amazing facts about water. More than 70% of our body weight is water. You are mainly a re-bundling of water wrapped in skin. Understanding water and drinking the right kind of water will help improve wellness and longevity. Inside the human body the blood (which is over 90% water) circulates throughout the body, distributing nutrients and oxygen, and removing wastes and carbon dioxide. Without water we die. If we don't get enough water our body does not function properly. 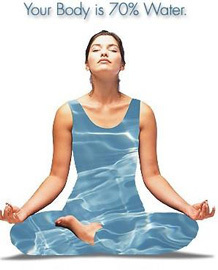 Water is the medium through which every metabolic function occurs in the body. If you are even slightly dehydrated at a cellular level, this will impair your cell's ability to do its job. Proper hydration is crucial to good health, and not all water hydrates equally. The structure of a common water molecule cluster is reduced and reshaped through natural ionization processes allowing water from your alkalizer to be easily absorbed by the body. 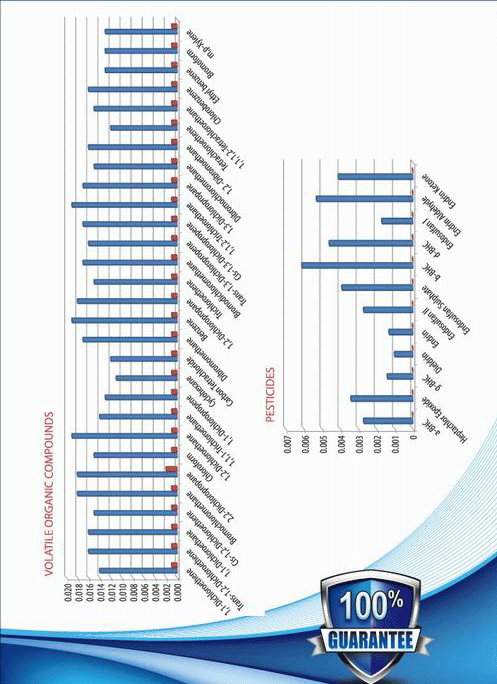 Water from your AOK hydrates very effectively.